Please visit the Massapequa Soccer Shop (1004 Park Blvd, Massapequa Park, NY - 516-798-7769) to order your uniform. The Club President will assign you a unique uniform # and contact you after the close of registration. You will then be directed to the Massapequa Soccer Shop to order your Travel Uniform. Please do not go to the Soccer Shop without an assigned #. If you register before the July 10th deadline for this program and have not heard from the club by July 13th, please reach out to President@massapequasc.com for your # assignment. If you register after the July 10th deadline for this program, please contact President@massapequasc.com to be assigned a Uniform #. You will then be directed to the Soccer Shop to order your Travel Uniform. Please do not go to the Soccer Shop without an assigned # from the club. 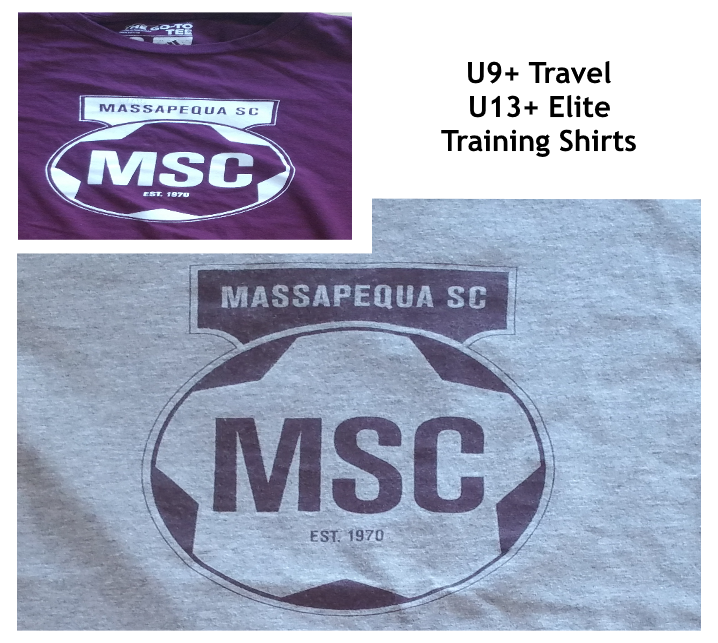 MSC would like all players in Elite or Travel programs from U9-U19 to purchase a spirit pack (MSC Training Shirts, Shorts, Socks, drawstring); these must be purchased with cash ($52) at the Massapequa Soccer Shop. Individuals who have already purchased Spirit Packs and have the current training gear are not required to purchase again every season. 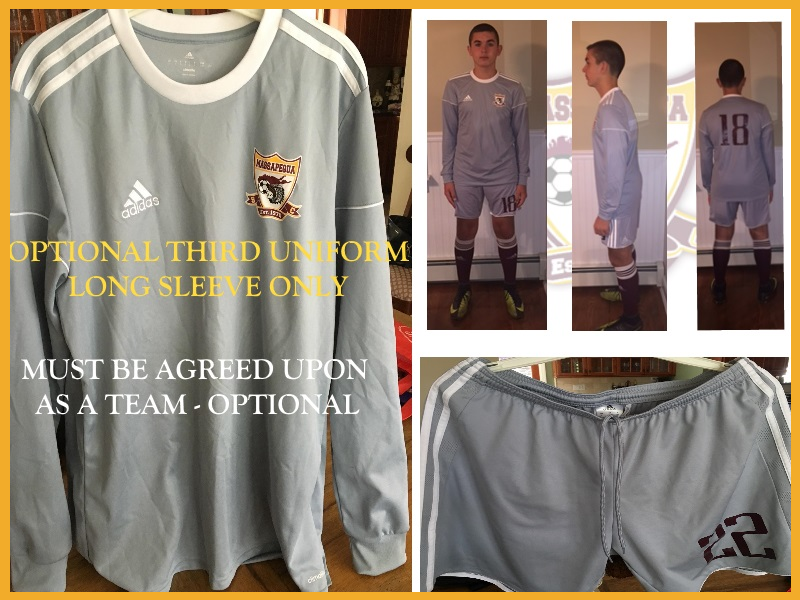 If you have already played Travel Soccer for MSC and were assigned a unique Uniform # and purchased a Travel Uniform you are all set. If you are new to MSC this year or have not played Travel for MSC before, please contact President@massapequasc.com to be assigned a Uniform #. You will then be directed to the Massapequa Soccer Shop to order your Travel Uniform. Please do not go to the Soccer Shop without an assigned # from the club. (1 game a week, parent coach run) Please visit the Massapequa Soccer Shop to order your "Intramural" uniform. Numbers are not assigned for the Interleague. Those with uniform needs, please contact your team Parent Administrator for instructions. Uniforms must be ordered no later than Saturday, July 28th to guarantee delivery before the start of the season. 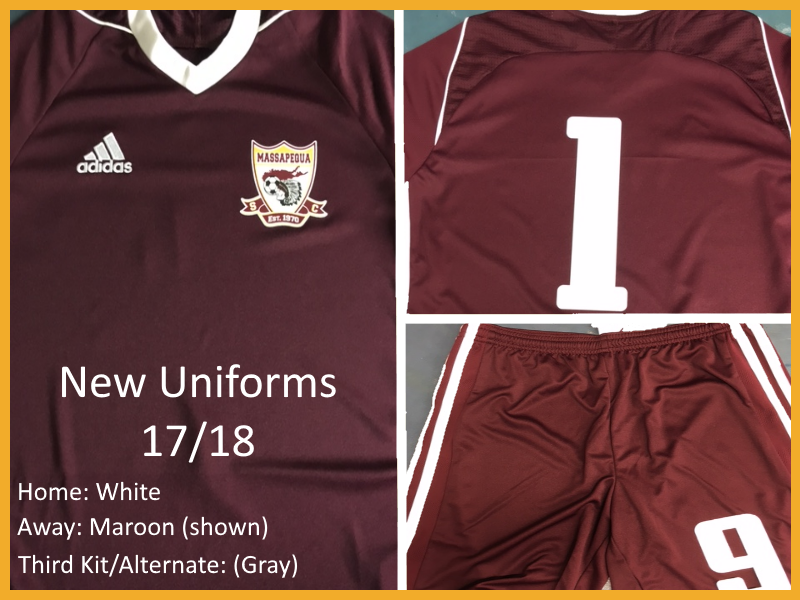 Please note that the primary uniforms are White (HOME) and Maroon (AWAY) - the optional 3rd uniform can only be ordered as a team. The PA must again submit a full roster with uniform #s to the Massapequa Soccer Shop and inform the shop what uniforms they are using. The Optional third Uniform only comes in long sleeves.